Black Tea: Smith Teamaker, Choice Organic, Organic India, Zhena's! • Black Tea Blend No. 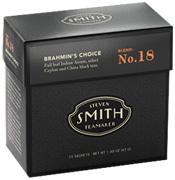 18 Brahmin: A luxuriant blend of full-bodied Indian Assam teas combined with succulent Ceylon Dimbulla, intense and floral Ceylon Uva and a touch of smoky China Keemun from Anhui. The ideal breakfast tea. But refined and delightful any time of day as well. 15 Tea Bags. ORDER TODAY! Ingredients: Second flush Indian Assam, Ceylon Dimbulla, Ceylon Uva and China Keemun full leaf teas. • Black Tea Blend No. 47 Bungalow: Grown in the foothills of the Himalayas, this combination of first and second flush organic Darjeeling teas produces a light, yet complex tea with the aroma and flavor of fruits, nuts and flowers perfected by rich, toasty, buttery notes. 15 Tea Bags. ORDER TODAY! • Black Tea Blend No. 23 Kandy: Titled after one of the most beautiful cities in Sri Lanka, Kandy presents together full and flavory Dimbulla with highly fragrant and intense Uva and lightly scented high-grown Nuwara Eliya. A tea made for sipping with relaxation all day. 15 Tea Bags. ORDER TODAY! • Black Tea Blend No. 55 Lord Bergamot: A savor quite superior to traditional Earl Grey. Aromatic Ceylon Dimbulla and Uva are expertly blended with select teas from India's Assam valley, then fragranced with the flavor of Bergamot from the realm of Reggio Calabria, Italy. 15 Tea Bags. ORDER TODAY! TEA: Black Tea, 15 ct.
• Black Tea Aged Earl Grey: Blended with aged organic Assam Black tea with real Italian Bergamot for several weeks so the tea absorbs the Orange scent. Enjoy a vigorous (flavorings-free) Earl Grey with delicate Citrus notes. 18 bags. ORDER TODAY! • Black Tea Bengal Spice: Aromatic Bengal Spice® Tea is overflowing with Cinnamon, Ginger, Cardamom and Cloves. This exciting blend is our caffeine-free form of Chai, a zesty Indian brew traditionally made with Black Tea. Try Bengal Spice with milk and sugar for a true Chai experience. 20 bags. ORDER TODAY! • Tulsi Tea Chai Masala: Tulsi, Black Tea, and Chai spices make the ideal exotic chai that invigorates your senses and calms your soul. Add milk or nondairy milk and a touch of sweetener for an enchanting authentic India experience! 18 Tea Bags. ORDER TODAY! • Tulsi Tea Gotu Kola: Tulsi and Gotu Kola is combined in this nourishing and purifying blend. This combination nurtures and stabilizes your nervous system, provides clarity and calm to your mind and improves your overall physical and emotional well-being. Rich in vitamins A, B, E, K and Magnesium, researchers have found that it also contains several glycosides that reveal healing properties. 18 Tea Bags. ORDER TODAY! • Tulsi Tea Honey Chamomile: Experience the soft, smooth flavor of Chamomile blossoms, and reminding of Apples dribbled with amber honey. Complemented by the depth of the Tulsi leaf trio, this is the ideal tea for a calming uplifting moment. 18 Tea Bags.ORDER TODAY! • Tulsi Tea Sweet Rose: Tulsi Sweet Rose tea became our best seller overnight. It's aromatic, appealing, and deeply feminine. This subtle blend of Tulsi leaves and organic Rose petals, finely balanced with the calming power of Chamomile, the natural sweetness of organic Stevia leaf, and a touch of Lemon Myrtle is a rich treat for your senses. You will feel sincere renewal from your first sip! 18 Tea Bags. ORDER TODAY! • Tulsi Tea Original: Three sacred varieties of Tulsi with powerful invigorating powers are blended to create this wonderful, soothing, yet stimulating tea with hints of Lemon and Citrus from Vana Tulsi, the slightly spicy tones of Krishna Tulsi, and the calm depth of Rama Tulsi.18 Tea Bags. ORDER TODAY! • Tulsi Tea Vanilla Cream: This rich-tasting tea combines the creaminess of vanilla with the caffeine-free health benefits of red tea from Africa. Add in the warming spice of Tulsi and you have a full-flavored crescendo that delivers a sublime cup of tea. 18 Tea Bags. ORDER TODAY! • Tulsi Tea Sleep: Two sacred varieties of Tulsi: Krishna and Vana, are blended with anti-stress healing herbs of Brahmi, Ashwagandha and Shankpushpi, which also offer restorative energy needed for healthy sleep. These herbs are combined with Chamomile, Cardamom and Peppermint to create a delightful herbal infusion that supports a calm, restful sleep. 18 Tea Bags. ORDER TODAY! TEA: Tulsi Tea Relaxation, 18 ct.
• Tulsi Tea India Breakfast: Deep, spicy, and energizing, India Breakfast Tulsi tea has the fuller, heartier flavor drinkers of Black Tea love. Made with organic Assam (known for its body, briskness, malty flavor, and strong, bright color) and organic Ayerpadi, a special Black Tea leaf for its deep, complex flavor. Both Black and Green tea are rich in polyphenols, which are a type of antioxidant. These wonder nutrients scavenge for cell-damaging free radicals in the body and detoxify them. 18 Tea Bags. ORDER TODAY! TEA: Tulsi Tea Black: India Breakfast, 18 ct.
• Black Tea Pure Ceylon: Certified, 100% pure organic Ceylon tea. Deluxe tea. 25 Tea Bags. ORDER TODAY! • Black Tea Lemon: Certified, 100% pure organic tea from Ceylon Tea. Enhanced by the all-natural flavor of Lemon. 25 Tea Bags. ORDER TODAY! • Black Tea Classic Breakfast: 100% pure organic tea from India & Ceylon. 25 Tea Bags.ORDER TODAY! • Black Tea Black Cherry: Certified, 100% pure organic tea from Ceylon. Enriched by the all-natural flavor of Black Cherry. 25 Tea Bags. ORDER TODAY! 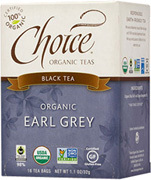 • Black Tea Earl Grey: Certified, 100% pure organic tea from India. Enhanced by the all-natural flavor of Bergamot. 25 Tea Bags. ORDER TODAY! • Black Tea Golden Peach: Certified, 100% pure organic tea from Ceylon Tea. Enhanced by the all-natural flavor of Golden Peach. 25 Tea Bags. ORDER TODAY! • Black Tea Strawberry: Certified, 100% pure organic tea from India. Enhanced by the all-natural flavor of Strawberry. 25 Tea Bags. ORDER TODAY! • Black Tea Vanilla: Certified, 100% pure organic Ceylon tea. Enhanced by the all natural flavor of Vanilla. 25 Tea Bags. ORDER TODAY! Black Tea expresses the marvelous regional variation found in the world of tea - from a light, floral Indian Darjeeling to a lush, smoky Chinese Lapsang Souchong. These teas are fully oxidized to develop a stronger flavor. • Black Tea Classic Black: Return to basics with this splendid traditional cup from the Western Ghats of Southern India. Organically grown Classic Black Tea comes from gardens placed deep within one of the most biodiverse ecosystems in the world that produce some of the planet's purest tea. It is unblended to let its brisk, bright quality glisten through and revitalize. 16 bags. ORDER TODAY! 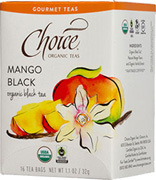 • Black Tea Mango Black: Transport to paradise with this appealing black tea balanced with a touch of tropical fruit. Mango Black Tea is made with smooth Ceylon and bold Indian Black Teas, with notes of Mango awakening the aroma and flavor of fresh cut fruit. A hint of Sumatran Vanilla conveys a delicate sweetness to this delicious tea that also gratifies when served over ice. 16 bags. ORDER TODAY! • Black Tea Darjeeling: Delight in this wonderful Darjeeling Tea from India's premier tea-growing region. Darjeeling Tea has a bright, fruity flavor and a refined, floral aroma designed by the mists and fog of the Himalayan Mountains. With a medium body and uplifting character, you'll find it mesmerizing at any hour. 16 bags. ORDER TODAY! • Black Tea Chai Spice: Explore to a spice market as you drink this tantalizing Black Tea. Chai Spice is blended with Assam Black Tea leaves, Cardamom, Cinnamon, Ginger, and a touch of Black Pepper for an energetic, balanced blend with a clean finish. Serve it as they do in India with your favorite milk and sweetener to soften the warming seasonings and create a creamy customized cup of tea you will desire hot or iced. 16 bags. ORDER TODAY! • Black Tea Breakfast Blend: Breakfast Blend Tea is made with bold Assam and smooth Ceylon Black Tea leaves for a energetic brew that will energize you with its wide-eyed flavor and centering fragrance. Enjoy this timeless classic, served straight up and steaming hot. Add a splash of milk or a squeeze of Lemon. Poured over ice is great too. 16 bags. ORDER TODAY! • Black Tea Earl Grey: Revitalize your spirits with this traditional tea that's aromatic and full of flavor. Earl Grey Tea is made with brisk Ceylon and Indian Black Teas from select mountain gardens with essential oil of Italian Bergamot from Calabria. The medium body and clean flavor of this popular classic will have you feeling re-energized and ready to go. 16 bags. ORDER TODAY! • Black Tea Earl Grey Lavender: Earl Grey Lavender Tea is made with full-bodied and smooth, Indian and Sri Lankan Black Teas, a squeeze of Citrus, and a Italian Bergamot fragrances the tea leaves. English Lavender blooms gently fills their aroma and flavor into this refined tea that captivates at the start of the day and well into afternoon tea. Try iced for a perfect refreshment. 16 bags. ORDER TODAY! • Black Tea English Breakfast: Welcome the day with this classic English Breakfast Tea is sure to please — on its own, or with milk and sugar. English Breakfast Tea is expertly blended with smooth, high-grown Ceylon Teas with splendid, malty selections from Assam and East Africa. The result is a full-bodied cup with rich flavor and stimulating character. It's an enjoyable way to revitalize your senses. 16 bags. ORDER TODAY! • Black Tea Decaf English Breakfast: Uplift your spirits with a true British cup of tea without the caffeine. Decaf English Breakfast Tea is a traditional combination of Indian teas decaffeinated using carbon dioxide, the only certified organic method. The taste is full-bodied and fulfilling, yet bold and brisk. Add milk and sugar for an enriching beverage, day or night. 16 bags. ORDER TODAY! • Black Tea Irish Breakfast: Revitalize your spirit with this refreshingly bold cup of morning tea. Irish Breakfast Tea is made with the full body and malty richness of Assam black tea from India. 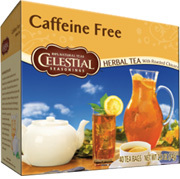 Positive and energetic with a hearty character, this refreshing tea is intended to stimulate. 16 bags. ORDER TODAY! Black Tea is more processed, more oxidized and higher in caffeine than other tea varieties. After picking, the leaves are rolled and dried or "fired" by being heated in an oven, resulting in its characteristic black color and complex flavor. 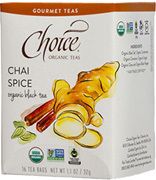 • Black Tea Coconut Chai: A hearty and full flavored Black Tea highlighted with exotic imperial spices. The bold concentrated character of this luxurious black tea offers to the bursting notes of Cardamom, Ginger and Clove. The sweet hint of tropical Coconut aromatically fills the cup, providing an appealing taste of paradise to relish. Delightful with a splash of milk. A brilliant and savory steep. Embossed recyclable air tight tin. 22 Eco Friendly Tea Sachets. 2.33 oz. ORDER NOW! Ingredients: Fair Trade Certified Indian Black Tea, Cinnamon, Ginger, Cardamom Pods, Whole Cloves, Orange Peels, Nutmeg, Black Pepper, Natural Coconut Flavor, Natural Cinnamon Flavor. • Black Tea Gypsy Rose: The perfumed notes of rare grade Sri Lankan tea leaves are infused with the aromatic petals of select hand-plucked Roses which give this brew its soft pink hue. You will delight in the intoxicating, perfumed bouquet that lightly perfumes the rising steam. Embossed recyclable air tight tin. 22 Eco Friendly Tea Sachets. 2.33 oz. ORDER NOW! Ingredients: A Blend of Fair Trade Certified Sri Lankan and Indian Black Tea*, Red and Pink Rose Petals, and All Natural Flavor. • Black Tea Peach Ginger: The wholesome and finest Ceylon high mountain grown Black Tea leaves blends with the sweet, luscious notes of orchard fresh Peaches and the subtle, zingy character of Ginger root for an fascinating cup. A perfect choice any time of day, excellent over ice. Embossed recyclable air tight tin. 22 Eco Friendly Tea Sachets. 2.33 oz. ORDER NOW! Ingredients: Fair Trade Certified Finest Black Tea from Ceylon, Ginger Root, Peach Flavor, Essential Oil of Ginger. Try a cup of our delicious Chai to warm and revitalize the body. Whether you desire Black tea, Green tea or Rooibos, our Chai blends are always made with only the most refreshing blend of rich imperial chai spices. • Chai Tea Caramel Chai Red: Rich on the taste, satisfying masterful blend of Caramel Chai is made with delicious spices of Cinnamon, Clove, and Nutmeg with caramelized brown sugar, warming crystallized Indian Ginger and South African Rooibos for a luscious blend of exotic flavor and antioxidant rich sips. Creamy, whole bean Bourbon Vanilla complements the flavor fullness of rich cream. 22 Eco Friendly Tea Sachets. 2.33 oz. ORDER NOW! Ingredients: Fair Trade Certified Rooibos, Cinnamon, Ginger Root, Licorice Root, Natural Flavoring, Cloves, Cardamom, Nutmeg, Black Pepper, Vanilla Bean. • Chai Tea Hazelnut Chai Black: The pleasant combination of tasteful Indian Black Tea, roasted Viennese Hazelnuts, spicy island Cinnamon and warm Ginger with notes of Chocolate, Vanilla and Caramel make this blend similar of the finest hazelnut tortes and sweet liquors of Viennese café life. Delightful with honey or sweetener and a splash of milk. 22 Eco Friendly Tea Sachets. 2.33 oz. ORDER NOW! Ingredients: Organic, Fair Trade Certified Indian Black Tea, Cinnamon, Ginger Root, Licorice Root, Natural Flavoring, Cloves, Cardamom, Nutmeg, Black Pepper, Organic Vanilla Bean. • Chai Tea Vanilla Chai Black: Rejoice your day with Vanilla Chai tea. The invigorating island fragrance of sweet Vanilla floats through the air above your cup. This uplifting Black Tea blend stabilizes the aroma of calming spices and the heartening sweetness of a fresh baked Cinnamon cookie. Decadent Cardamom, warming Ginger and relaxing Nutmeg complements a sense of gourmet delight. 22 Eco Friendly Tea Sachets. 2.33 oz. ORDER NOW! Ingredients: Fair Trade Certified Assam Black Tea, Cinnamon, Ginger Root, Licorice Root, Natural Flavoring, Cloves, Cardamom, Nutmeg, Black Pepper, Vanilla Bean. • Chai Tea Chocolate Chai: From the Cedarburg Mountain Region of South Africa comes this top-quality grade, caffeine-free organic Rooibos, blended with the rich, exotic taste of Mediterranean Carob and the zest of Ginger and Cinnamon bark. Chicory and Licorice Root, enhances this wonderful thick, warming cup. Ideal with a splash of milk. 22 Eco Friendly Tea Sachets. 2.33 oz. ORDER NOW! Ingredients: Organic, Fair Trade Certified™ Assam Black Tea, Cinnamon, Licorice, Natural (Organic Compliant) Cream Flavor, Clove, Cardamom, Nutmeg, Black Pepper and Organic Vanilla Bean. Fill kettle with fresh spring water and bring to a rolling boil. Pour water over 1 sachet and infuse for 3–5 minutes. Indulge. Relax. Enjoy. Organic Black Teas are classic, bold blends that are delicious with cream and sugar or served as-is. • Organic Black Tea Black Tea: You take your tea strong, and you take it earnestly. Profound in its freshness, this bold signature brew was made for you. 20 bags. ORDER TODAY! • Organic Black Tea Chai: With an appealing flavor of Ginger, Cardamom, and Cloves, you can serve Organic Chai in the traditional style sweetened and with milk, or try it on its own. 20 bags. ORDER TODAY! • Organic Black Tea Irish Breakfast: Irish Breakfast Tea is expressly blended to provide the fullest body and most malt. Ideal straight up but strong enough to handle milk and sugar. 20 bags. ORDER TODAY! • Organic Black Tea English Breakfast: This malty, full-bodied cup is a blend of Black Teas from Sri Lanka and India. A fine morning tradition, add milk and sweeten for a truly English experience. 20 bags. ORDER TODAY! 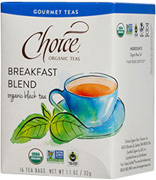 • Organic Black Tea English Breakfast Decaf: A decaffeinated substitute to the signature English Breakfast Tea. Malty and full-bodied, this cup is remarkable with a splash of milk and sweetener. 20 bags. ORDER TODAY! 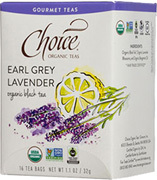 • Organic Black Tea Earl Grey: Earl Grey Tea bursts with the aromatic citrus notes of Bergamot. Add a lemon wedge for extra zest and savor it as you face the challenges of your day. 20 bags. ORDER TODAY! • Black Tea Chai Spice: This classic Indian drink combines rich, flavorful Indian Black teas with Cinnamon, Clove, Ginger and Cardamom. The brewed tea is very fragrant, with a flavor that is mildly sweet, strong, and penetrating, with lingering notes of Almond. This tea is superb plain or with milk (regular or evaporated) and sweetener. It is excellent any time of day-as a rich morning cup, a gratifying dessert tea, or as a special treat. 20 Tea Bags. ORDER TODAY! Ingredients: Blended Black Teas, Cinnamon, Ginger Root, Allspice, natural Cinnamon flavor, Clove Bud oil, Cardamom oil. • Black Tea Double Bergamot Earl Grey: Moroccan Mint is a stimulating blend of finest Green Tea, Spearmint, Peppermint, and a hint of Lemon. Double Bergamot Earl Grey offers careful balance of Citrusy oil of Bergamot and the blend of fine Black teas. This is a great late afternoon or early evening tea. Complements well with shortbread and cream scones. And for a distinctively pleasing cold beverage, try Double Bergamot Earl Grey tea on ice. 18 Tea Bags. ORDER TODAY! ingredients: Blended Black Teas, Bergamot extract. • Black Tea Earl Grey: A Stash Tea best seller and long-time customer favorite! Earl Grey is black tea perfumed with Bergamot. Earl Grey brews up a lovely amber cup with a distinct flavor and lightly fragrant scent. Enjoyed best in the afternoon or after dinner. Delightful and delicious plain, it may also be served with sugar and milk. Makes an ideal, energizing iced tea. 20 Tea Bags. ORDER TODAY! ngredients: Blended Black Teas, Bergamot extract. • Black Tea English Breakfast: English Breakfast Tea combines select Black teas from leading tea gardens. We blend bright Ceylon tea, malty Assam and smooth Nilgiri from India, and full-bodied Keemun from China. The result is a very unique, rich tea. It takes milk and sugar very well. This invigorating tea is the ideal morning wake-up drink. 20 Tea Bags. ORDER TODAY! • Black Tea Orange Spice: Orange Spice tea is combined full bodied Black teas from India, Sri Lanka and China, with the finest Cinnamon from Sri Lanka and sweet California Orange peel and orange oil. The result is a very fragrant tea that has the flavor of zesty orange and spicy cinnamon. Tastes great hot or cold. 20 Tea Bags. ORDER TODAY! Ingredients: Blended Black Teas, Orange peel, Cinnamon, Orange Oil, natural flavor of Clove. • Black Tea Peach: Superior Black teas are blended with the natural flavor of fresh, ripe Peaches for a scented aroma and a delicately sweet, juicy taste. Perfect hot or cold. 20 Tea Bags. ORDER TODAY! Ingredients: Blended Black Teas, natural Peach flavor. • Black Tea Double Spice Chai: For Chai lovers, Chai Spice is blended with finest Black teas and aromatic spices of Clove, Cinnamon and Cardamom. Combined with Coriander and whole Cardamom for a spicier and flavorful drink. Add a splash of milk and sugar for a rich, genuine taste. 18 Tea Bags. ORDER TODAY! Ingredients: Blended Black Teas, Cinnamon, Ginger root, Clove Bud oil, Allspice, natural Cinnamon flavor, Cardamom oil. • Black Tea Christmas Morning: Christmas Morning Tea is a truly exquisite blend made with the very best teas from around the world for this. This breakfast tea is a rich, multi-layered drink to uplift you in the early morning. The smooth liquor of this tea features its bright and complex flavor. Christmas Morning is a great balance of brisk and sweet, full-bodied with a lovely fragrance. Enjoy it hot or iced, with milk and sugar or plain. 18 Tea Bags. ORDER TODAY! Ingredients: Blended Black teas, Oolong, Jasmine Green tea. • Black Tea Holiday Chai: Holiday Chai Tea is made with premium Black Teas with an exotic blend of spices of Nutmeg, Cinnamon, Ginger, Allspice, Clove and Cardamom. Natural flavors of Gingerbread and Rum provide this Chai a distinct twist. The brewed tea has a spicy-sweet Gingerbread fragrance, with a flavor that is medium-bodied. This tea is brilliant plain or with milk (regular or evaporated) and sugar. 18 Tea Bags. ORDER TODAY! Ingredients: Blended Black Teas, Cinnamon, Allspice, Clove, Ginger Root, natural Gingerbread flavor, natural Jamaican Rum flavor, Nutmeg Oil. TEA: Black Tea, 18 ct.
• Premium Peony White Tea: Premium Peony White Tea offers a pleasant flavor as it soothes, invigorates and comforts you. Peony White Tea is regarded as one of the premium grades of White Tea and is made of young leaves and buds from the Camellia Sinensis plant, handpicked during the fresh spring harvest in Chinas Fujian province. Peony White Teas with antioxidant property is approximately 3 times more than green tea. There is also considerably less caffeine in white tea (15-20mg per serving, compared to green tea at 20-30mg per serving, black tea at 50-80mg, and coffee at 100-200mg). For quality assurance, each tea bag is individually wrapped. 100 Tea Bags. ORDER TODAY! • Organic Peony White Tea: Organic Peony White Tea has a wonderful flavor as it relaxes, rejuvenates and warms you. Peony White is made of young leaves and buds from the Camellia Sinensis plant, hand-picked during the fresh spring harvest in Chinas Fujian province. Peony White teas contains more antioxidant property than Green Tea. There is also considerably less caffeine in white tea (15-20mg per serving), in contrast to Green Tea (20-30mg) and Coffee (100-200mg). 100 Tea Bags. ORDER TODAY! • Premium Oolong Tea: Premium Oolong Tea is semi-fermented, combining the best qualities of black and green teas. Oolong Tea is entirely hand-picked, pleasantly fragrant with a mild flavor and bright golden color. Contains polyphenol catechins which have proven antioxidant properties. Antioxidant fight free radicals which can cause cell damage and help the body retain its natural good health and improve immune functions. The healthful effects of drinking green tea are numerous. 100 Tea Bags. BUY NOW! • Organic Oolong Tea: Organic Oolong Tea (Wu Long Tea) is made with the best qualities of black and green teas, hand selected, fragrant with a mild flavor and bright golden color. Oolong has many health benefits with a history of use dating back 1,000 years. Prince of Peace Organic Oolong Tea is grown in certified organic tea plantations in China. Enjoy the full-bodied taste of Organic Oolong Tea as well as a cupful of Oolongs health benefits. 100 Tea Bags. BUY NOW! • Organic Black Tea: Organic Black Tea leaves are selected from high quality tea leaves from Yunnan. 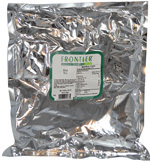 The completely fermented tea leaves provide a rich flavor and calming fragrance. Black Tea is regarded for antioxidant properties which have many natural health benefits. 100 Tea Bags. BUY NOW! • Premium Pu-Erh Tea: Prince of Peace Premium Pu-Erh Tea is freshly harvested from a tea plantation that uses one of the finest black teas from China. It's a great strong black tea without being bitter or harsh tasting. The Pu-Erh Tea go through a complete fermentation process which produces the leaves to turn black and gives them their distinctive flavor and scent. Pu-Erh Tea is a superb source of polyphenols with powerful antioxidant properties. 100 Tea Bags. BUY NOW! • Relaxation Tea Ceylon Organic: (Orange Pekoe) A lovely afternoon tea that provides bright flavor and mellow astringent and less robust flavor than Assam tea. Slightly dry, woody, citrusy, light body. 1 lb. Bulk Bag. BUY NOW! • Relaxation Tea Chai Tea Organic: Black tea blended with aromatic Indian spices and generally served hot or cold with milk and sweetner. Spicy, aromatic blend of black teas, cinnamon, cardamom, ginger, cloves, and black pepper, full body. 1 lb. Bulk Bag. BUY NOW!. Ingredients: Black tea, organic Ginger, organic Fennel, organic Cinnamon, organic Cardamom, organic Nutmeg, organic Black Pepper, organic Cloves. • Relaxation Tea Darjeeling: (Tippy Golden Flowery Orange Pekoe) Regarded as the champagne of black teas, this complex, very flavorful and aromatic tea is ideal for afternoon tea. Smooth and eelegant, bright, slightly dry, light body. 1 lb. Bulk Bag. BUY NOW! • Relaxation Tea Earl Grey Organic: The best known of the scented teas, its unique taste has remained popular for hundreds of years. 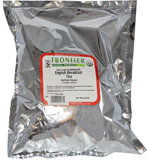 Natural Bergamot oil is d on tea leaves to create blanaced citrus and tea flavor. 1 lb. Bulk Bag. BUY NOW! Ingredients: Irish Breakfast tea, organic Bergamot oil..
• Relaxation Tea English Breakfast Organic: This blend of black teas has a full, robust, malty, thick body and slight citrus flavor. A good choice for those who prefer milk or sweetner in their tea. 1 lb. Bulk Bag. BUY NOW!. TEA: Organic Black Tea: Ceylon, 1 lb. TEA: Black Tea: Darjeeling, 1 lb. 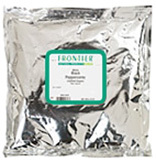 TEA: Organic Black Tea, 1 lb. TEA: Organic Black Tea, English Breakfast 1 lb.